With 20 years persisitent striving, Zhengzhou Ellsen Machinery Equipment Co., Ltd has developed into an integrated enterpriese with reserach & development, design, production, sales and after-sales service. Further, Ellsen offers a wide range of steel processing machinery, such as rebar cutter machine, steel bar straightenting and cutting machine, rebar cutter bender machine, scrap bar straightening machine, etc. These rebar machines are more often to see on construction sites like high-rise buildings, road construction, tunnel & bridge projects and so on. We could use rebar cutter to cut off ordinary carbon steel, hot-rolled steel, screw steel, flat steel, square steel and angle steel. 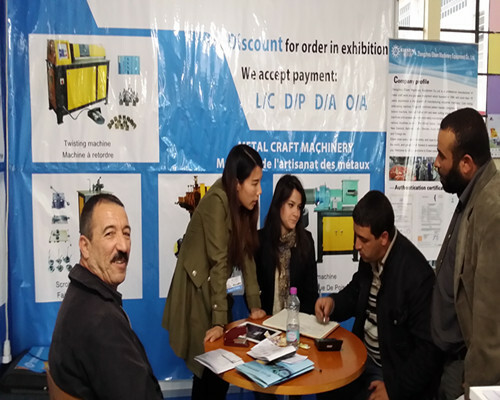 In order to enhance international visibility of our rebar cutters, we attend to Internation Machinery Exhibition in Algeria and Canton Fair every year. 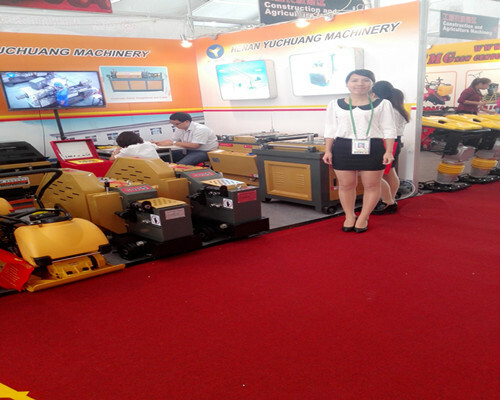 On these exhibitions, our professional staff would answer any question about rebar cutter, wire straightener and cutter asked by clients from all over the world. 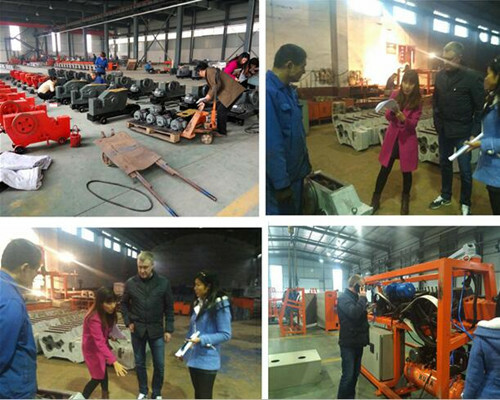 Moreover, we are very glad to show the clients how to operate rebar cutting machines on site. 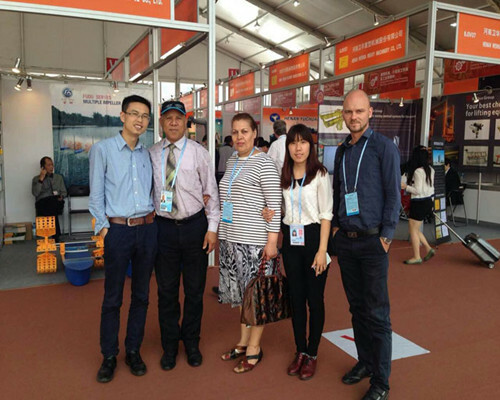 The clients will indeed touch the quality of our rebar cutter machines personally and enjoy our excellent service on the exhibition. 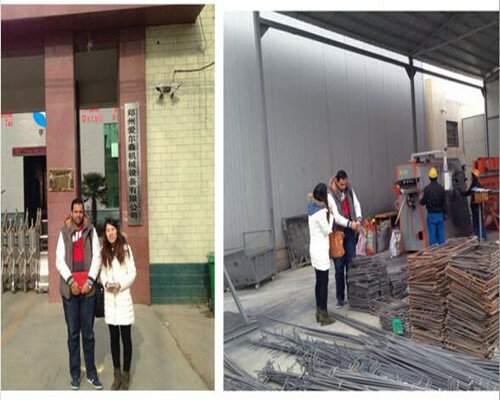 Every year, many of our clients visit our rebar cutter factory in China. These clients are from all over the world, such as the United States, Canada, Mexico, South Africa, Cameroon, Egypt, India, Singapore, etc. 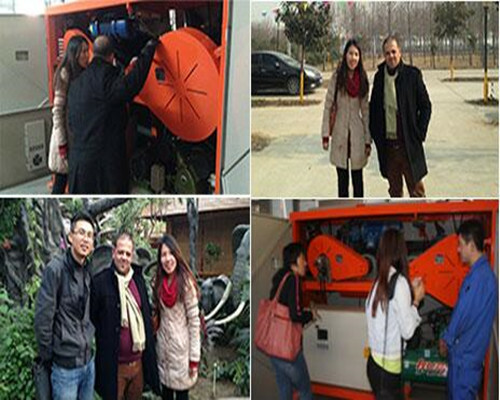 They could learn how to use and maintain rebar cutter machine directly in our factory and this service is free. 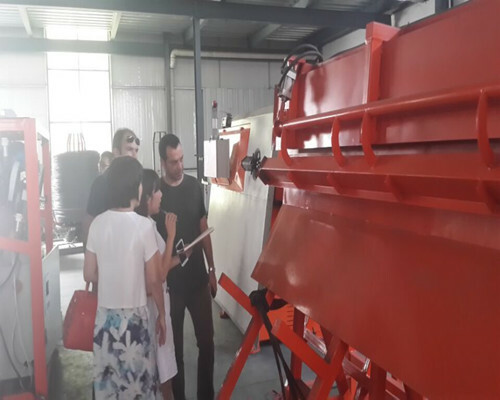 Almost every client makes their first order immediately after visiting our factory and learning more about after-sales service of our rebar cutting machines. Welcome to visit our factory at any time if you still have confusion about our rebar cutter machine’ s quality, price, service. The rebar cutter machine has a very wide using range. And different types of rebar cutters have different applied areas. 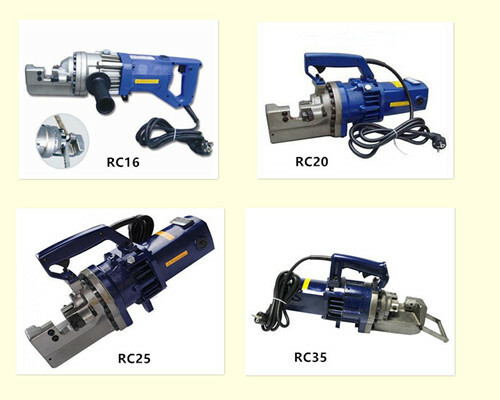 Mostly, rebar cutter machines for sale have two big application fields. One is for construction sites. Here rebar cutter can be used in high rise building, housing construction, road construction, tunnel & bridge projects as well as steel fabrication factories. the In another application field, the rebar cutter is a kind of rescue tool to cut off steel, wire, housing security windows in fire rescue, emergency rescue, earthquake relief and complex terrain rescue, etc. You could select the correct rebar cutter machine according to your requirements. Ellsen as a leading steel process equipment manufacturer, it offers different types of rebar cutters for clients’ choice. 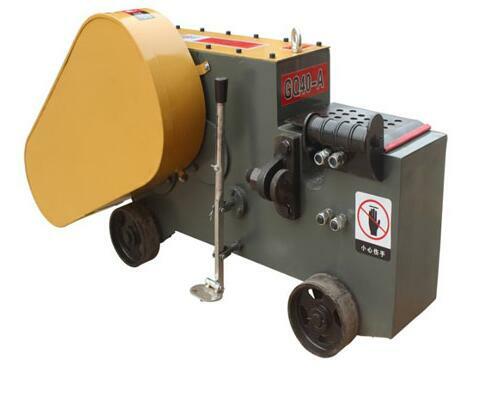 This rebar cutter has strengthened outer shell compared with other two types of steel cutters for sale. 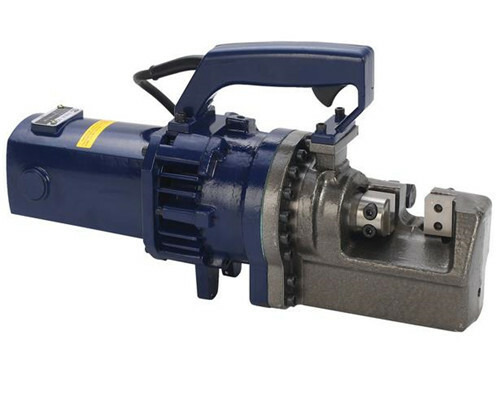 And the reinforced rebar cutter mainly consists of motor, transmission system, crankshaft connecting rod system, machine body, and cutting blades, etc. 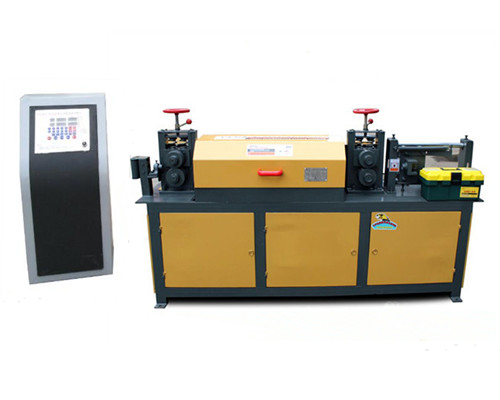 These steel bar cutting machines for sale are most suitable for construction sites and steel fabrication plants because they need cut off many steel bars in different sizes and lengths. Nicely, Ellsen heavy duty rebar cutters are able to help achieve massive production of steel bars. 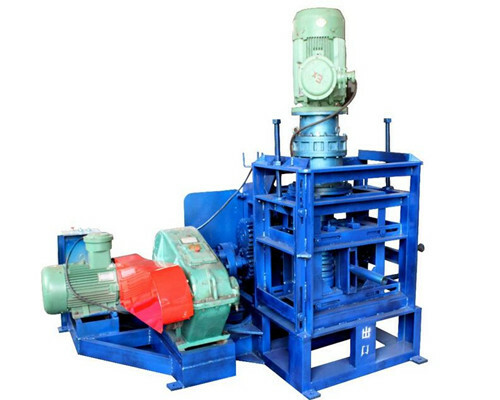 We often call it electric hydraulic press rebar cutters, for it needs power supply. When hydraulic rebar cutters are working, we need use electricity and hydraulic press in order to provide enough force. 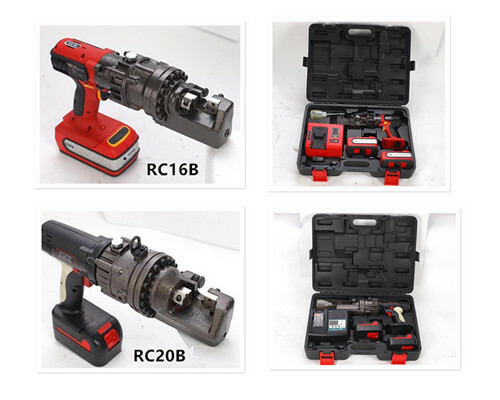 The components of portable hydraulic rebar cutters are cutting head, oil cylinder, switch, oil feed hole, pressure gauge, manual decompression valve, pipeline, oil level gauge and oil connection. The features of this hydraulic rebar cutters are small in size, light in weight. What’s more, the hydraulic bar bender can rotate 360 degrees. You could cut off steel bars at any angle. The working speed of hydraulic press cutter is very fast. 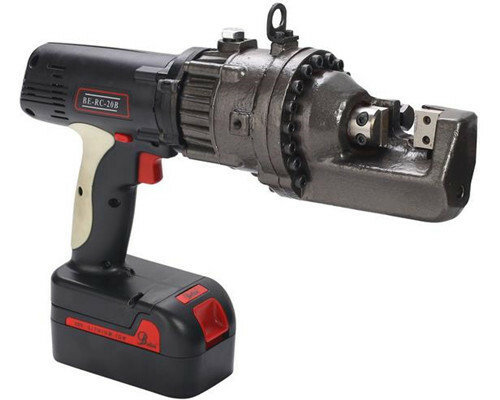 It will only take 2.5 to 5 seconds to cut off a steel rod by utilizing steel rebar cutter. 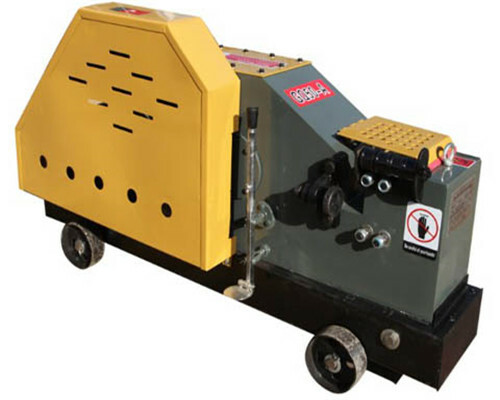 Actually, Ellsen battery rebar cutter is also called hydraulic rebar cutters, because it need use hydraulic oil. But the difference between these two steel bar cutters is that the battery rebar cutter adopts lithium polymer battery. Moreover, it has lighting function and no power line, which is very suitable for work at night. When meeting massive accidents, this kind of rebar cutter can cut off steel, wire, car windows and security windows rapidly. In general, Ellsen battery cutter can cut about 150 times on a charge. This will consume less power than other handheld rebar cutters in the market. Our heavy duty rebar cutters have many advantages. The cutting blades are replaceable and are made of forged steel and there has a protective metal sheet on the surface, so they are very durable, you don’t need to change them frequently. 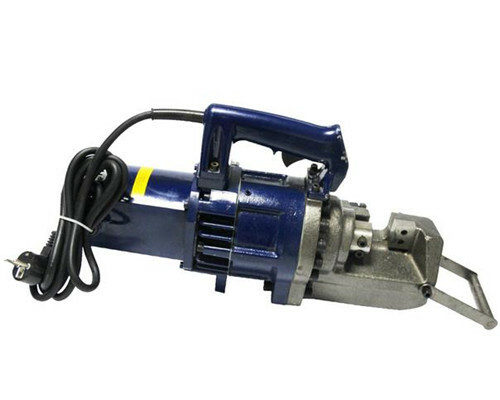 The heavy duty rebar cutters for sale have a strong working capacity. They could cut off steel bars with diameters from 4mm to 50mm. In order to safety, the iron rod cutter has a clutch system. What’s more, Ellsen rebar shears adopt 100% copper motors. This promises the steel cutting machines works smoothly and powerfully. There has bar sliding device for our steel rod cutting machines, which makes it easier to feed the steel rod into the cutting blades. This saves time and reduces labor intensity. The gears, gear shafts and connective rod bearings consist of high quality raw material, so they have the features of heat resistance and corrosion resistance. These excellent accessories promise the rebar cutter machines could still work even under heavy work load. All rebar cutters have a very good lubrication. Our steel bar cutter machine could work continuously if you lubricate it once per month. 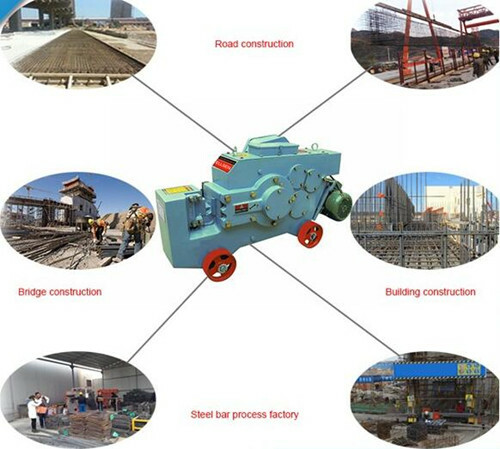 All these advantages of our steel cutters make sure our rebar machine has a long performance life. If you have construction projects that need steel cut off machine, Ellsen will be indeed your best choice. Ellsen steel rebar cutter is durable in use and this rebar shear has compact design. The rebar cutter can reach precision cutting when using it to cut off steel rods. It is very easy to install our steel rebar cutters for sale due to simple structure. Our steel rod cutters are easy to operate and its maintenance rate is low. The rebar shears has high working efficiency and consume less power. It has a very long service life thanks to high-quality production raw materials. Ellsen steel bar cutters are easy to move and carry out. Ellsen has 20 years history in manufacturing rebar machine. It is an integrated steel fabrication equipment company with research & development, design, production and sale. We have a group of skilled professionals who make every effort to research new technology. Hence, all steel bar cutters for sale are equipped with latest technology and advanced design. As rebar cutter manufacturer, Ellsen factory covers 9000 square meters and has more than 80 sets of production equipment. When you purchase our rebar cutting machines, we will ensure that these rebar cutters are transported to you without any delay. Our rebar cutter quality is very reliable. Each steel bar cutter will be tested for many times from every single accessory to the whole machine. Our QC check the quality strictly. Further, our steel rod cutters have passed CE, ISO, ROHS. What’s more, our steel cutters have been accepted by clients from all over the world. And we have sold our rod cutter machines very well in the United States, Canada, Australia, Mexico, South Africa, Cameroon, India, Thailand, etc. The rebar cutter price is competitive and reasonable. 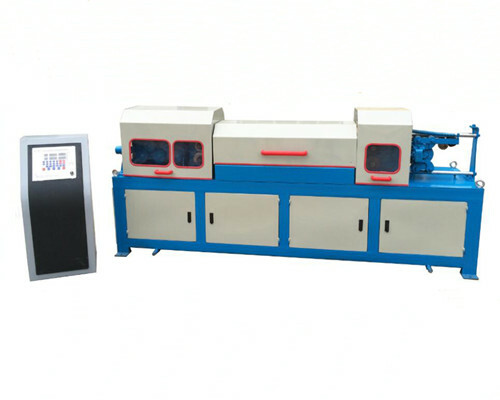 No matter when you buy our steel cutting machines, we will offer you the fairest price. In Ellsen, you can always find a suitable steel bar cutter for your project with the less money. In addition, all Ellsen rebar cutter machines for sale comply with international standard. We produce each steel rebar cutter with the customer-centric concept. If you buy Ellsen portable rebar cutters, you will enjoy lifelong after-sales service. For your safety purpose, please read all the instructions before you use steel bar cutting machine to cut off steel rods. Always keep your fingers away from cutting blades of bar cutter machines. The cutting blade has 4 cutting edges, please change a new one when you find all edges are damaged. The most important thing is that the steel bars must be rested on the lower-middle part of cutting blade. 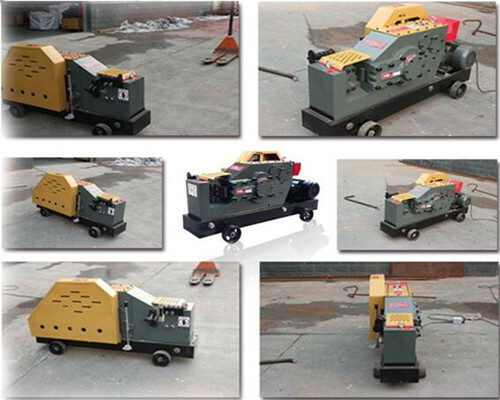 If you hear any abnormal sound when rebar cutter is working, please stop the bar cutting machine immediately. Always keep in mind that never put the rod cutting machine in a wet environment when not in use and keep it clean. 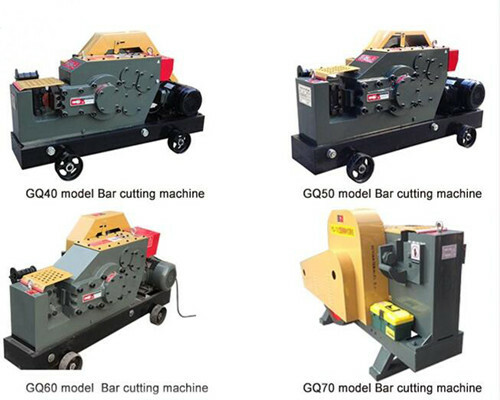 Whenever you buy our bar cutter machines, you could prepay us 30% deposit, pay the 70% balance later when the purchased rebar cutters are ready to ship to you. For customers’ convenience, the payment terms can be Telegraphic Transfer, L/C, Western Union, PayPal, D/P, D/A, O/A, etc.Thanks to our experienced shipping agent, we could transport rebar cutter for sale to all over the world with our any delay. And we are able to send the offered rebar cutter by Sea, by Air, and by Express. Home delivery service is acceptable if our customers require. We provide one year warranty on our bar cutter machines. Free-maintenance service is valid for the warranty period. We offer our clients wearing parts for free all the time. Our engineers are ready to go abroad to offer maintenance service. 24 hours online service helps solve any problem during using rebar cutter. 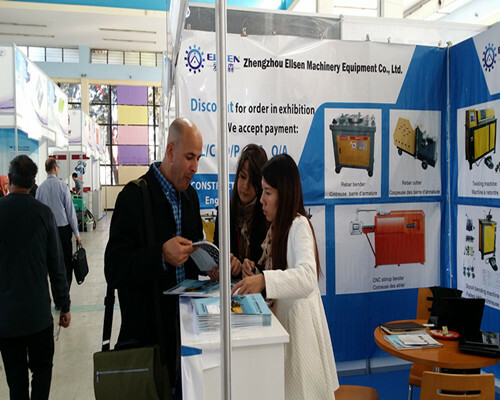 Zhengzhou Ellsen Machinery Co., Ltd. has a history of 20 years in the field of machinery industry. It is an integrated enterprise with R&D, Design, Production, Sales and After-sales service. Our rebar cutters are sold very well at home and abroad. Welcome to contact us for more information about our products. Copyright (C) 1997-2014 All Rights Reserved. Zhengzhou Ellsen Machinery Equipment Co., Ltd.